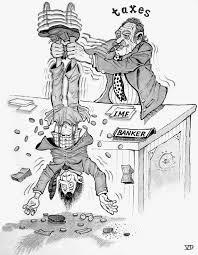 Stop Paying Your Landlord’s Mortgage!. When you’re ready to buy a house, there’s a whole cast of characters who will help you through the process. Who can you expect to meet along the way, and what do they do? This all-important person will help you find the right house and get your offer accepted. While it’s good to get recommendations from people who have bought or sold in your target neighborhood, Trulia’s real estate agent reviewscan help you select the agent who’s really best for you. Choose an agent you feel comfortable with. They should return your calls quickly because time matters in real estate deals. And never, ever stay with an agent who pressures you to spend more than you’re comfortable with or to choose a home before you’re ready. You may use an independent broker who can help you procure a loan from one of several different banks, or an in-house loan officer who works for the bank that will provide your mortgage. Your best bet may be getting a loan from a bank you already have a relationship with, but make sure you choose a bank that offers the right loan product for your situation. And always shop around for competitive rates. Once you’ve started the application process, your mortgage broker or loan officer will hand you off to a loan processor. She’s the one who makes sure you’ve got all the documentation in order for your loan — and there can be a lot of it! Be prepared to provide evidence of your income for the past few years, as well as your current assets and debts. So, you’ve lined up financing and you’re under contract. Next step is to get the house inspected. Your real estate agent can recommend a good inspector, but you might want to check Angie’s List or even the Better Business Bureau to make sure someone is legit. The inspection is crucial, because many homes look fine to the untrained eye but have major structural problems you’ll want to know about before the sale goes through. Accompany your inspector when they go to look the house over, and ask a lot of questions. The final inspection report should be detailed and will often include pictures, but many inspectors will give you even more information if you walk through the house with them. Now that you’re about to become a homeowner, you need homeowner’s insurance — a policy to protect you against the loss or damage from fire, theft, and other calamities. Start with the company who provides your auto insurance as you’ll generally get a multi-policy discount, but shop around. Some companies won’t insure certain types of homes, like buildings on steep hills, brick houses, or homes with older wiring. Find a company that will cover your new house and line up a policy before closing. Title insurance protects you against problems with the way the title to the property is recorded. Escrow services handle the money when it changes hands between the buyer and the seller, while making sure that the local government gets all the necessary property transfer taxes and deed registration fees. Often, these services are provided by the same company, and the closing itself sometimes takes place at the title insurance company’s office. Your real estate agent may have a favorite company she works with all the time, but you can also request that a specific company be selected. • Make sure that you understand the tax impact of any financial transaction before you enter it. It is far too common that people make detrimental tax errors because they had poor quality information or didn’t take enough time to evaluate. If you are contemplating a transaction, either take the time to research the tax consequences or take the time to engage the services of a qualified tax pro. I would be happy to make a great recommendation to you. • Be sure that you are not making a financial decision based entirely on the tax issues involved. In some cases it might just work out, but many times the gamble will leave you disappointed. Taxes are still a percentage game, meaning that in the 27% bracket, a tax deduction of $100 will only save you $27 in taxes. The other $73 is gone. So when somebody throws money away with the, “It’s OK, it’s a write-off” statement, remember that there may be tax benefits, but some real cash came out of someones pocket. Surviving the Real Estate Closing! As your trusted mortgage advisor, I provide you with more than just a loan. It’s part of my continuing service to offer some helpful tips, such as the following article from Bankrate.com. Timing is critical when scheduling the transaction. 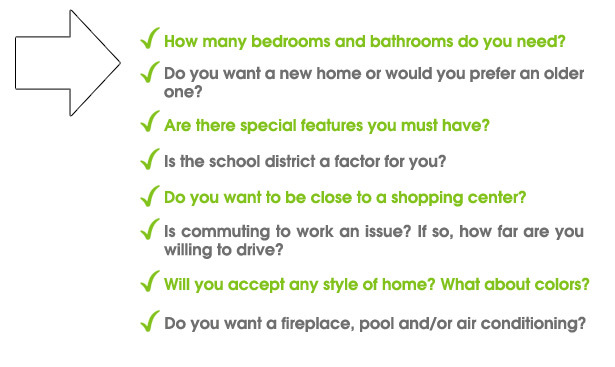 Here are a few things to consider:Current living situation. If you’re renting, you’ll want to schedule the closing around the time your lease ends. If your plan is to do some work on your new home before moving in, pick a date a couple of months before you have to move from your rental. If you’ll be moving out of a house that you’re selling, you’ll be juggling between two closing dates. Most folks need the cash out of the first house to pay for the second house, so be sure to schedule the closings in the right order. But beware! Two closings in one day will make for a headache. However, it’s over in one fell swoop. Mortgage considerations. Make sure the closing date is set before your commitment date–or any interest rate lock–expires. Work schedule. Though most well-run closings last only about an hour, you don’t want to try to squeeze this into a lunch break. Things can get complicated. And hey — this is a huge day in your life, so take some time off work! Moving. If you plan to move the day you close, schedule the paperwork as early in the day as possible. Year-end. If you’re scheduling a closing at the end of the year, keep taxes in mind. Any points and interest paid before the New Year can become deductions for this year’s taxes. Check with a tax advisor for the timing of any other deductions. Most closings are actually two closings. You’ll be closing on the purchase of real estate, and you’ll be closing on the mortgage loan you’re taking to buy that real estate. All that paperwork will have to do with one or the other. Some documents are common to most closings, and other documents will be unique to your area or situation. Truth in Lending statement, also known as Regulation Z. This important piece of paper will disclose the interest rate, annual percentage rate, amount financed and total cost of the loan over its life. These are very important numbers to check and double check before signing. This isn’t a time for surprises. Itemization of amount financed. This document is like an addendum to the Truth in Lending statement, summarizing finance costs and points. Monthly payment letter. This document reveals the breakdown of your monthly payment into principal, interest, taxes, insurance and any other monthly escrows. Note: Take a deep breath when signing this! This is where you’re actually borrowing the money–and giving your personal guarantee to pay it back. Mortgage. Take another breath when signing this one. This paper puts a lien on the house as security for the loan — allowing the bank to foreclose if you default on the note mentioned above. Other than that, sign a few real estate documents and the house is finally yours. Yippee! Now it’s getting fun. HUD Form 1 or Disclosure/Settlement Statement. This is another one to read carefully (though, of course, all these papers are important and need to be read). This form will contain all the actual settlement costs and amounts. The closing agent will go over this document with the buyer and seller. Warranty deed. This is the document that brought all these people to the table. This document should include the names of the buyer and seller, and a description of the property. Often, this deed guarantees that the seller has the right to sell the property. With the signatures of the seller and buyer, this piece of paper transfers the title of property. Savor this particular signing; it’s the real deal. Pro-ration agreements. These describe how you and the seller are divvying up the costs of the house for the month in which it’s being bought. For example, the seller may have already paid the property taxes, so the buyer needs to reimburse the seller for the portion of the tax bill that covers the time after the buyer takes over the property. Or in reverse, the seller may not have paid the quarterly homeowner’s association fees, and at the closing, the seller reimburses for the period he was still living in the house. In the end, lots of little bits of money may go back and forth across the table — at least on paper. Name affidavit. Here’s where too many legal technicalities get annoying. This document is certifying that you are, in fact, who you say you are. Acknowledgment of reports. More legalese assures that the buyer has seen all the reports regarding the property. These can include surveys and a termite inspection. Search or Abstract of Title. This one would make excellent bedtime reading for an insomniac. The abstract gives a listing of every document that’s been recorded about this particular piece of property. Don’t worry, this doesn’t obligate you to anything, but it does give you the history of the house. The closing is not the day to forget your lunch money. The buyer and sometimes even the seller are expected to have some dough ready to hand over during this fateful meeting. You should be informed of the amount you need before the meeting, and if you aren’t, call and ask. You’ll want to bring a certified check for the correct amount. Closing costs. Expect to pay a portion of the closing costs. These can vary from state to state and county to county. Payment for the house. The buyer brings the down payment (if any) at this time, minus any earlier deposit(s). It’s given to the closing agent, along with the lender’s check for the balance. Escrows. Often, the buyer’s annual taxes, insurance and other items are paid through the lender. An escrow account (or reserve) will be established at this time. Smile! Now you get the keys. A closing may be the end of the house hunt and buying process, but it’s the opening act of your new life as a homeowner. I hope you find this information useful! Please feel free to contact me directly with any questions! While it might be tempting to borrow whatever amount of money your lender is willing to give you, it’s important to think carefully about how much you’ll actually need to borrow in order to purchase a new home. From the down payment to taxes to insurance and interest rates, there are many factors to consider when making this important, life-changing decision. Contrary to popular sentiment, there is no standard formula for accurately calculating the specific dollar amount you should borrow when purchasing a new home. Many websites do offer special borrower calculators that claim to factor in important variables, and yet final results vary vastly from one site to the next. Other websites offer general rules of thumb, suggesting that you should never borrow more than 2 1/2 to 3 times your gross annual income, or that 28%, 32%, or even 40% is the maximum amount of debt you should ever take on. And, while these insights may be helpful as you begin thinking about the overall borrowing process, meeting with a reputable loan professional and getting yourself pre-approved (not pre-qualified) is really the only way to know the exact amount of money you can and should borrow. By getting pre-approved, you not only increase the chance of finding the perfect house for your needs, you also become a “cash buyer”, instantly increasing your bargaining power. As a mortgage professional, I see my role differently than a traditional loan officer. While my job is to match you with the best mortgage available for your specific needs, I feel that it’s also my duty to make sure it’s the most responsible product as well. After all, what if something unforeseen or unexpected were to occur? What if you have an accident or you lose your job? Whether you choose to work with me or not, be aware. A lender will often offer you the maximum amount of money that you qualify for, whether you actually need the full amount or not. Because of this, it’s vital to sit down with a professional you can trust to figure out your complete financial picture. What Really Is The ‘so-called’ Fiscal Cliff? The U.S. fiscal cliff is the collection of $607 billion in automatic tax increases and spending cuts scheduled to take effect at the beginning of 2013. What tax provisions are expiring? Income tax cuts first enacted in 2001 and 2003 under President George W. Bush are scheduled to lapse on Dec. 31. The top tax rate on ordinary income would increase to 39.6% from 35%. The estate tax would return to a $1 million per-person exemption and a 55 percent top rate, from a $5.12 million exemption and a 35% rate. There are also taxes from the 2010 health care law scheduled to take effect including a 3.8% tax on the “unearned income,” such as capital gains and dividends, of high-income taxpayers. A 2% point reduction in the payroll tax is also expiring. A provision that prevents about 27 million households from facing the alternative minimum tax is already lapsed for tax year 2012. What happens in 2013 with spending cuts? The agreement that President Obama and congressional Republicans reached in August 2011 to increase the debt limit included $1.2 trillion in automatic spending cuts to take effect from fiscal year 2013 through fiscal year 2021. The cuts, known as sequestration, were designed to force Congress to act to avert them. The congressional super committee failed to agree on changes to block sequestration in 2011. Half of the automatic spending cuts will affect defense programs, and contractors including Lockheed Martin Corp and Northrop Grumman Corp have been warning about potential layoffs. The tax increases in the fiscal cliff, which include a top tax rate on dividends of 43.4%, would affect dividend-paying companies such as electric utilities and gas utilities. What are estimates of the effects on the economy if Congress doesn’t act? The Congressional Budget Office estimates that the U.S. economy would probably go into recession in the first half of 2013 if Congress does nothing and allows all the tax increases and spending cuts to take effect. This is what our markets are focusing on now that Obama has been re-elected. It has been clear that the House and Senate can’t work together up until now. The lame duck session won’t produce anything. And it still must be what Obama wants or he won’t sign. The equity markets are not very confident either. The S&P futures have slipped dangerously down to the last area of potential support for the long term bullish pattern to hold. This has pushed our markets higher and has seen the ten year futures through to a break of KEY LT RESISTANCE. This needs to hold for our continued view of higher prices. FN 3. Dec need to hold the 104-30 to 105-00 zone. To Have or Not To Have a Balance…. The problem is if you leave your credit card with no balance, you’ll have no payment history. You’ll want to leave a little bit of balance on your credit card every month (Ideal amount is 1%), to show that you can pay on time. Don’t just pay off a balance and leave it at zero balance account ongoing, because after six months it’s typically set as an inactive account, which gives you really no major positive. On the other hand, if you use the account every few months and leave a very small balance on it, then it will help you. The way FICO looks at it, if you have no balance, they don’t know whether or not you can pay it, because you’re not getting a bill. You have no obligation to pay. What you’re advising your consumers to keep on their credit cards a very, very small balance. Take a notepad and map with you. Save each home’s fact sheet. Limit the homes you look at in one session to three, so you can focus on the details. Take a picture of the homes that appeal to you so you can remember their features. Draw floor plans to help you compare homes. I hope this information should help you find the home of your dreams! Don’t close credit card accounts. If you close a credit card account, it will appear to FICO that your debt ratio has gone up. Also, closing a card will affect other factors in the score such as length of credit history. If you have to close a credit card account, do it after closing, and make sure that it is an account you’ve opened more recently. Remember, 10% of your credit score is made up of your Mix of Credit, so it is important that you have at least 1-2 major credit cards open and in good standing. 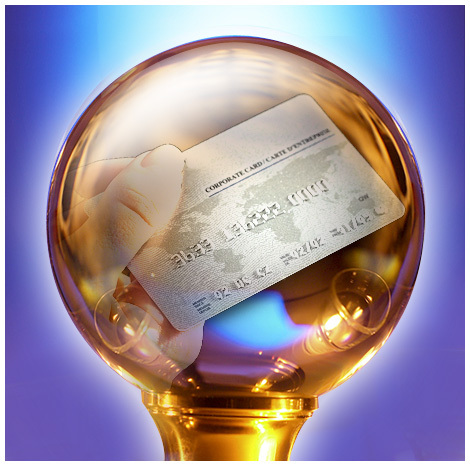 Don’t max out or overcharge your credit accounts. This is the fastest way to bring about an immediate drop of 50-100 points in your credit score. Try to keep your credit card balances below 30% of their available on your monthly statement, and especially during the loan process. If you decide to pay down balances, do it across the board. Meaning, make an extra payment on all of your cards at the same time. Don’t consolidate your debt onto 1 or 2 credit cards. It seems like it would be the smart thing to do; however, when you consolidate all of your debt onto one card, it appears that you are maxed out on that card, and the system will penalize you as mentioned above. If you want to save money on credit card interest rates, wait until after closing. Don’t do anything that will cause a red flag to be raised by the scoring system. This would include adding new accounts, co-signing on a loan, or changing your name or address with the bureaus. The less activity on your reports during the loan process, the better. Don’t do it alone. If you feel that the credit challenges you’re facing are too much, or you don’t have enough time to do the work necessary to improve your own credit, don’t lose hope and give up. Give us a call. We can help. In many cases, small changes to your credit profile could yield big results that could save you thousands of dollars on your mortgage. However, if professional credit repair does become necessary, we’ll gladly provide you with a referral to an experienced professional credit repair specialist you can trust.